Now that the holidays are over and our thoughts have turned to fresh starts, we think it’s high time to pay a little attention to that often-neglected area of the kitchen called the pantry. Whether yours is a single kitchen cupboard or a generous walk-in closet, a pantry-refresh may be just what you need to jump start your preparedness and creativity when it comes to getting dinner on the table. You’ll be recipe-ready for some of our favorite dishes with just a couple of fresh ingredients and a few staples from the pantry. Just like you wouldn’t keep a pair of jeans you haven’t worn for 7 years, nor should you keep a jar of mango chutney from 2009. But the purge is about more than just expiration dates. It’s about rediscovering all those things you’ve forgotten you even had and putting them to good use. Treasures from the top shelf like angel hair pasta or a 5-pound bag of brown rice will suddenly gain inspiration and purpose when given slightly better real estate. 2. Bring those forgotten items front and forward. 3. Dispose of expired goods. Once you’ve determined what you have, it’s time to fill in the gaps. Keep like things together and your most used ingredients in easy to reach spots. A well-stocked, well-organized pantry is one of the best ways to make sure you’ll have most of what you need to put together virtually any recipe after you’ve picked up a bag of fresh groceries. For us, pasta is one of the most versatile of all pantry staples. 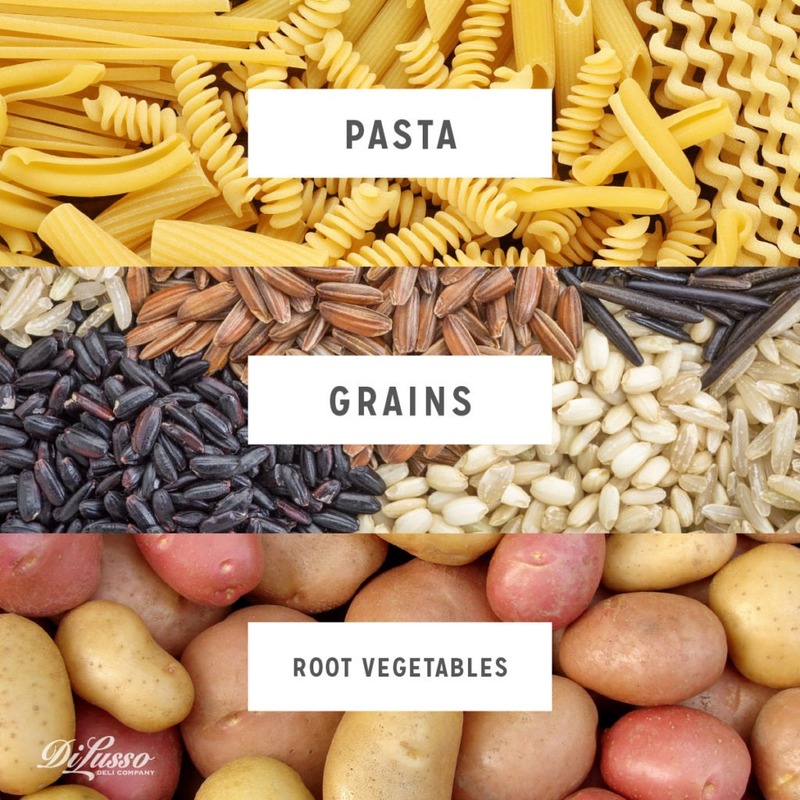 Fettuccine, angel hair, penne – they can turn simple soups and salads into heartier meals or become the centerpiece of a main dish. Whether you’re following a recipe or improvising, it’s hard to go wrong. 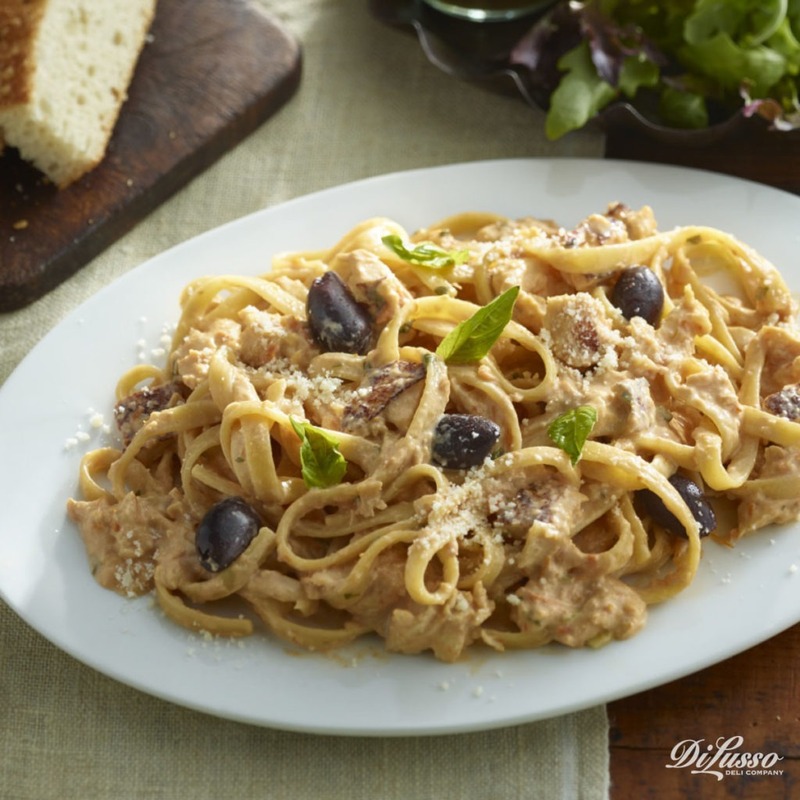 Our Chicken & Sundried Tomato Fettuccine is one of our favorite pantry to table recipes. Part of it’s distinctive flavor comes from Kalamata Olives and sundried tomatoes in oil, two additional pantry staples packed with flavor. TIP: Once opened, store dry pasta in a covered airtight container or re-sealable bag, always in a cool, dry area. Simple grains like white and brown rice, couscous and quinoa, are easily interchanged in virtually any recipe and like pasta are open to improvisation. 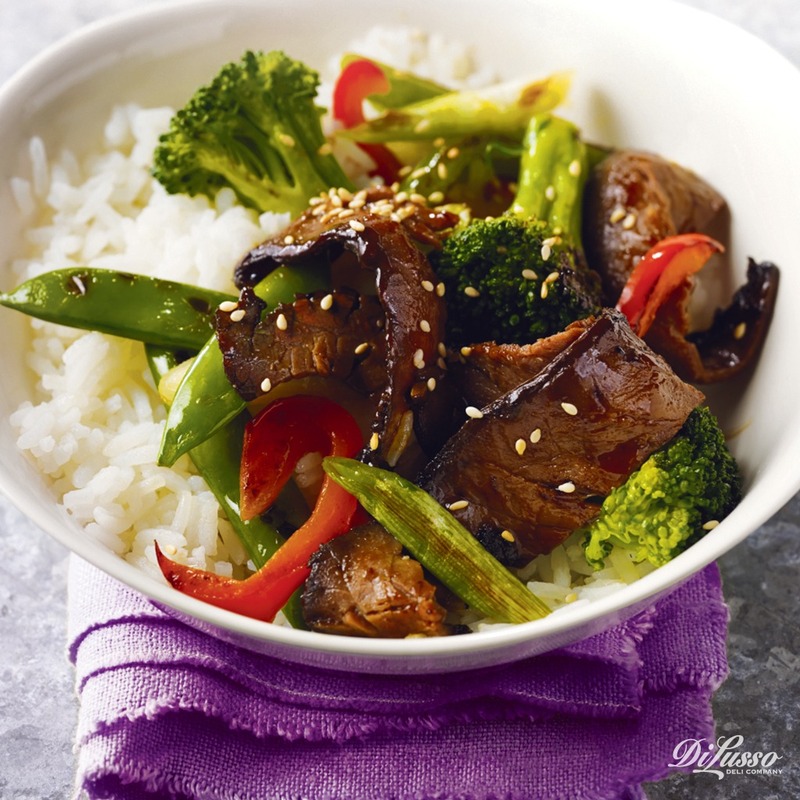 Our Warm Roast Beef Bowl is one of those delicious go-to recipes you’ll enjoy again and again. It’s incredibly simple with just a few fresh ingredients, your favorite on-hand grain and a few other simple pantry items like stir-fry sauce and sesame seeds. TIP: Though white, wild and jasmine rice can be stored indefinitely when kept free from contaminates, brown rice should only be stored 3-6 months in the pantry or 6-12 in the refrigerator due to it’s higher oil content. Pantry staples aren’t limited to jars and boxes lining the cupboard shelves. Root vegetables and potatoes are also considered pantry items and can greatly expand your recipe options and possibilities. 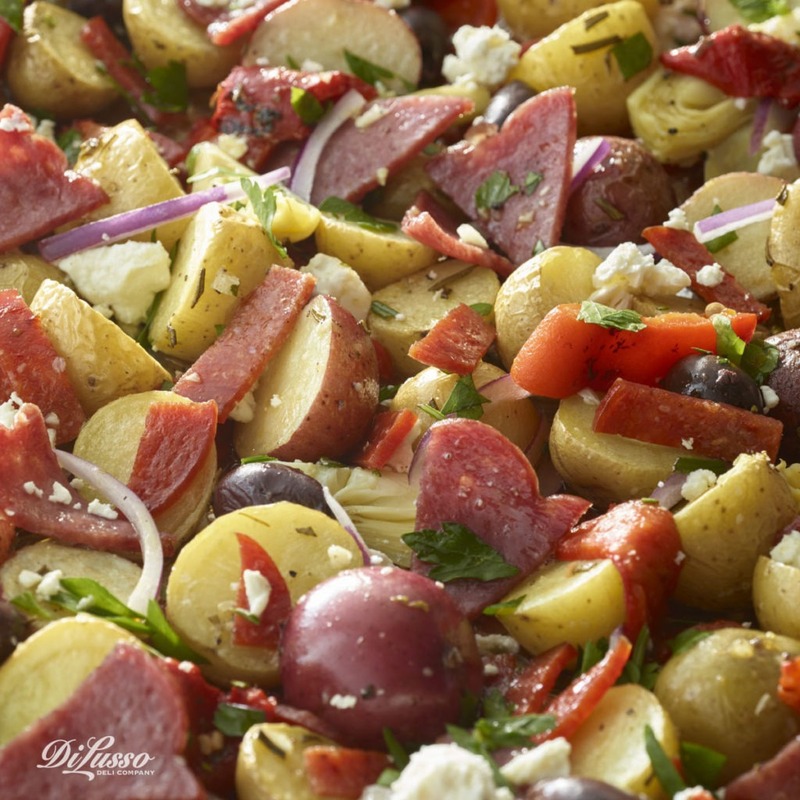 Our Warm Mediterranean Potato Salad is delicious as a side or main dish. In addition to baby potatoes, we used a number of other pantry ingredients like our Roasted Red Pepper Strips, canned artichoke hearts, olive oil, honey, cumin and cloves. Though we love the flavor of fresh rosemary and parsley in this recipe, dried can be easily substituted when needed. TIP: Though most root vegetables are best stored in the refrigerator, potatoes should be stored in a cool (not cold) place, preferably in a paper bag.